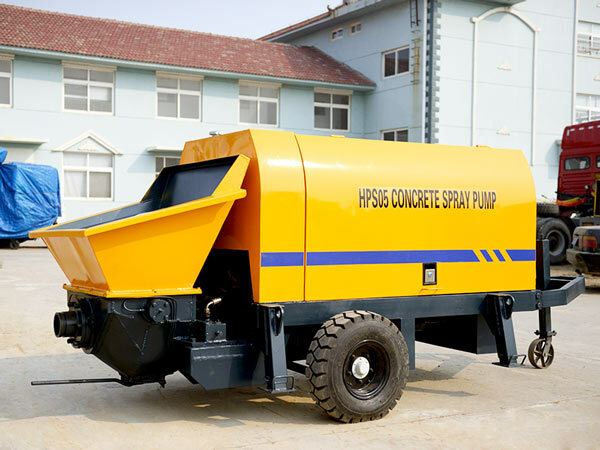 Small concrete pump is a kind of concrete pump with small size and small output. 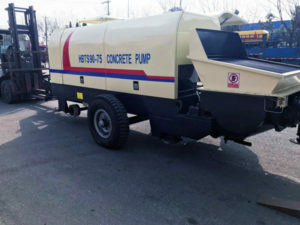 There are more than one concrete pump models. Usually its theoretical throughput output is under forty cubic meters per hour. There are different kinds of small pumps. First of all, I’d like to introduce two kinds of special utility small pumps: cement mortar pump and fine aggregate pump. 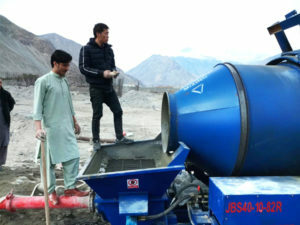 Small concrete mixer and pump has unique design, which has functions of both mixing and transporting. Therefore, the equipment is widely used for tower building, highway construction, bridge construction and other projects. The pumps made in Aimix have the features of easy operation, stable performance and long working life. Therefore, customers from all over the world are in favour it. 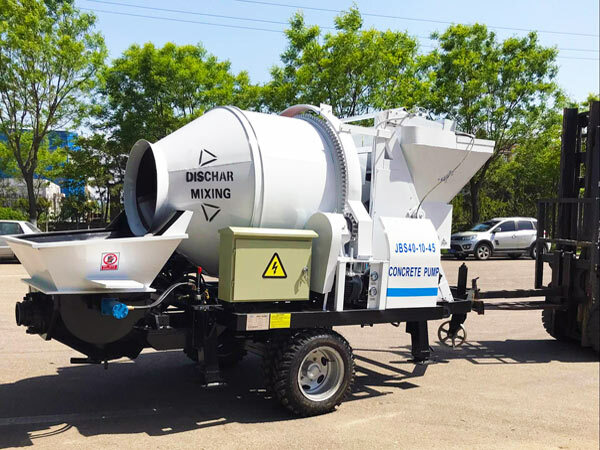 While in Aimix Group, there are different models of concrete mixers with pumps for sale in Aimix. Besides, we can customize equipment according to your construction needs. If you need the equipment, you can choose Aimix without hesitation. A. With high pumping pressure, long conveying distance and smaller conveying pipes, fine aggravate pump can reach the effect of indoor pavement of the concrete. B. Thanks to its full mechanical construction, the maintenance and operation are very simpleC. The cost of maintenance is extremely low because the quality of different parts are very excellent. D. Wiring is very convenient, so it can be wired in all floorsE. The conveying height can be adjusted. Workers can adjust it according to different requirements. Here are our models and parameters of fine aggravate pumps. BS25 and BS30 belong to small electric concrete pumps. 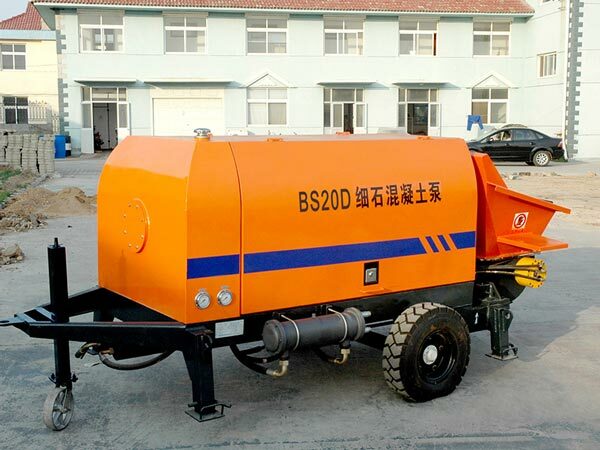 While BS20R and BS30R are small concrete pump with diesel engine, which is most suitable for remote areas. 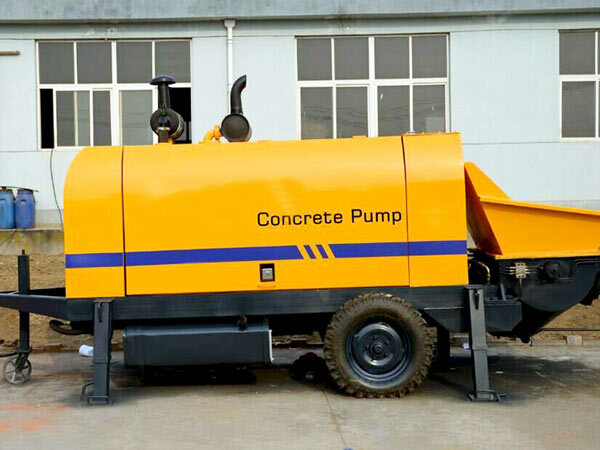 Besides small cement pump for sale, we also have some other models of concrete pumps for your reference, whose output ranges from 40 to 90 cubic meters per hour. They can be applied in different construction sites, such as buildings in the countryside and city, bridges and so on. This kind of small pump is now widely used for spraying cement and mortar on wall construction, but also applied in slope protection project and tunnel supporting. Of course, cement mortar pump has a lot of advantages. A. It is pumped by hydraulic pressure, thus its concrete pumping pressure is very high, which leads to an effective working process. B. The distribution valve type is S valve. It is suitable for cement and mortar, which can avoid blocking. C. The amount of spraying is adjustable. Therefore, it is easy to deal with different construction conditions. D. It has a small size, thus it need less workers to move it, which saves the labor cost. 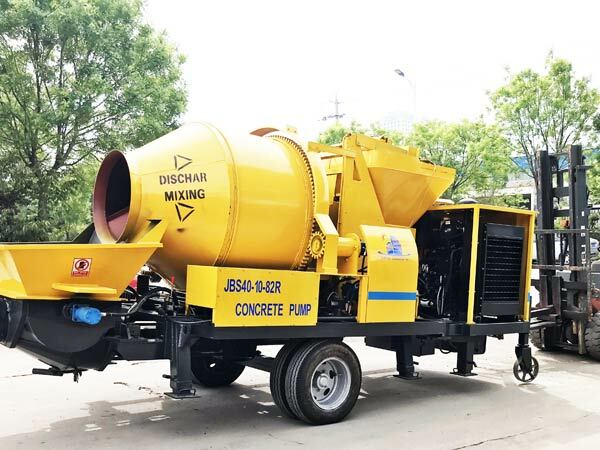 Having focused on concrete pump and cement mixer pump for several years, we have learned a lot from peers at home and abroad and produced a series of concrete pumps by absorbing international advanced technology. 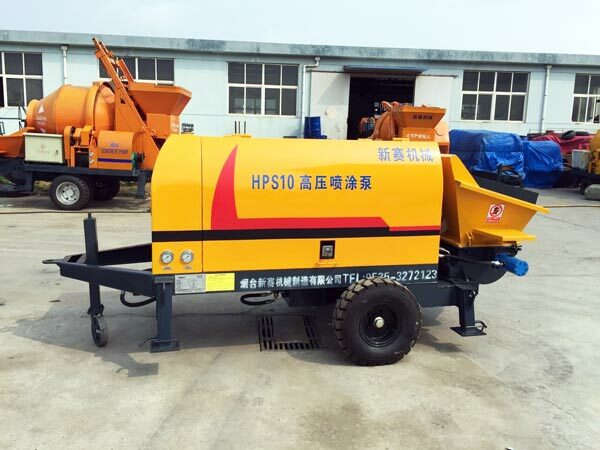 As a professional machinery equipment manufacturer, small portable concrete pump is one of our featured products. They have been exported to USA, Russia, New Zealand, Philippines, Guinea, Romania, Pakistan, Ukraine, Boatswain, Uzbekistan, Kyrgyzstan, Oman, Inner Mongolia, etc. Numerous successful cases prove that we are a partner deserving trust. First of all, we can offer you the best small pumps by developing a complete quality control system and supervising the production line strictly. Then we promise that your goods will be delivered on time or even in advance. It is impossible for us to delay it. Because we are looking forward to seeing more and more regular customer in the future. What’s more, we are always here for you if you need further help on maintenance and other technical problems. There are experienced engineers in our after-sale service department, and they can solve your problem as quickly as they can. 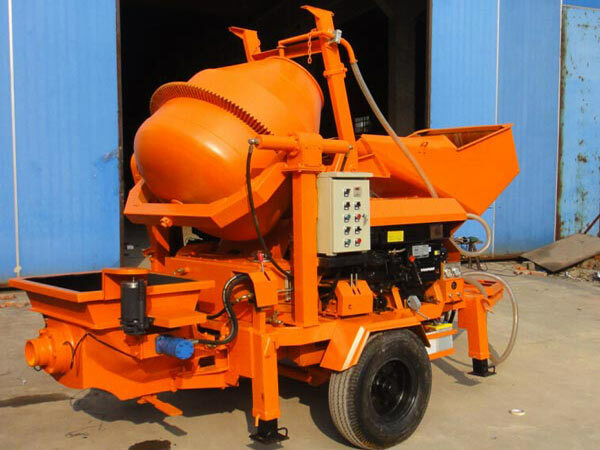 Last but least, Aimix also produces small concrete mixer and pump, which combines the function of concrete mixing and pumping. 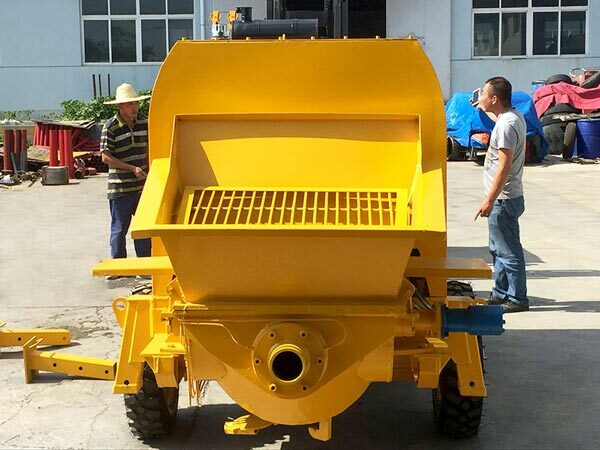 If you want to save the cost on concrete mixer, it is a good idea to buy a small concrete mixer pump. Welcome to contact us for any concrete equipment.